There have been endless discussions comparing Aikido to this or that martial art or how well Aikido would evaluate in a MMA competition. Actually Aikido could be defined as an art derived from techniques of the Japanese sword; thus it is more similar in nature to Kendo which is a martial art that seems to avoid any of these comparisons. In Aikido, we use the Bokken, which literally means a wooden sword. 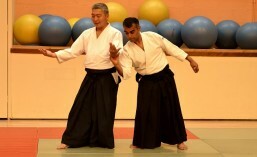 It is with these techniques that the close relationship between Aikido’s unarmed techniques and their original sword form can be most clearly seen. We also learn the Jo, which is a wooden staff of about four feet tall. The Jo should be considered just a tool, symbolic of any object that you might be able to use in daily life to protect yourself. 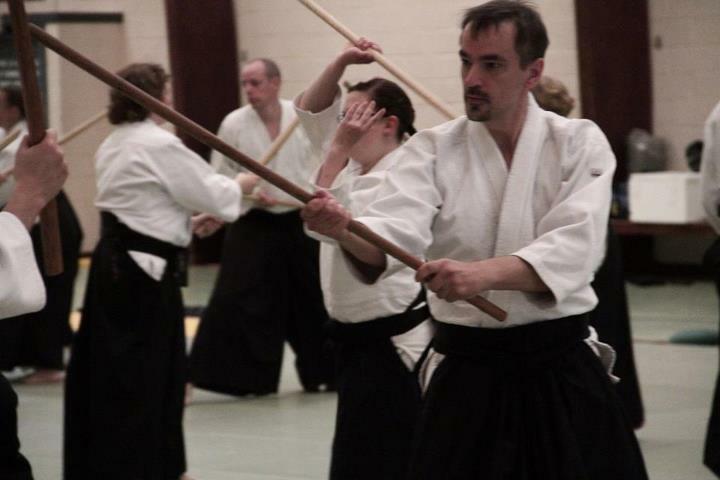 In fact we teach several techniques on how it can be used against the Bokken, which would be considered a far superior weapon. In Aikido there is no competition. Techniques are taught without fixing space or time. So there are no areas out of bounds or three-minute rounds. By practising this way, we train to expect surprises, such as another attacker or an unexpected weapon, both of which would be illegal in a sport format but highly probable in a real situation. We shall be exploring these weapons in a special class running between 2pm-6pm on 28th February at the Harrow Martial Arts Centre. The class will cost £10.00 and is open to anyone over 14 years old. If you would like to know more please fill in the contact form below.